Nose: A rancio perfume in the eaux-de-vie, from its long time spent in oak casks. The smells evoke leather, vanilla, lime blossom and spice. Palate: A remarkably lengthy finish, and a softer taste at the end. Honeyish notes come through. Overall very smooth. The eaux-de-vie of this exclusive Cognac are halved perfectly between the two most prestigious terroirs in the region; the Grande Champagne and the Petite Champagne. 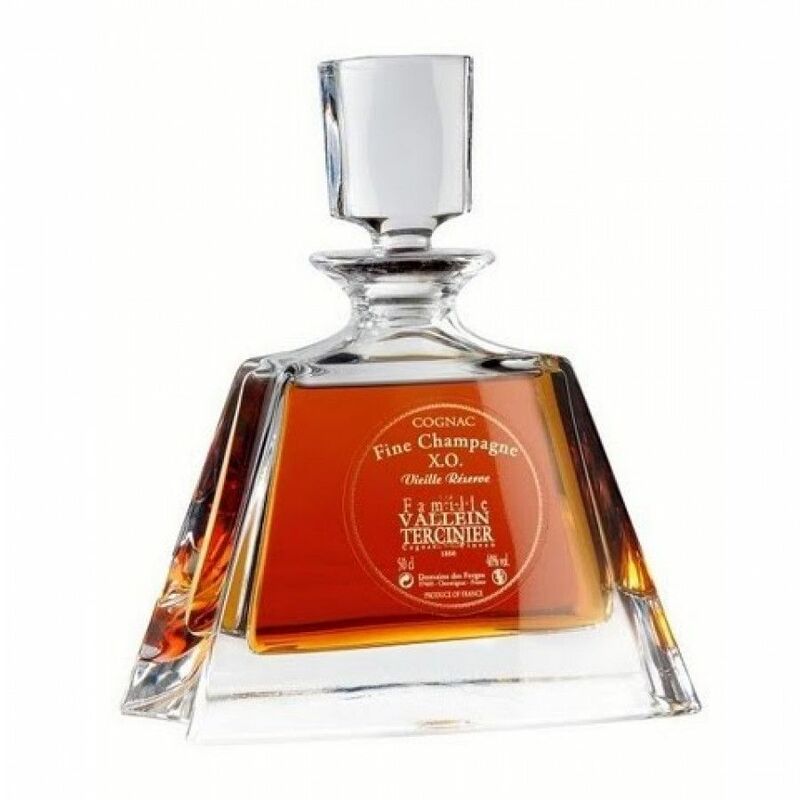 The Vallein Tercinier Pyramide Extra Old Cognac is style and grace, and everything that you could want from a Fine Champagne XO; that is, a fabulous finish. It is an affordable Cognac for its quality, and already caught the attention of critics across the board. Aged for 35 years, this Extra Old Cognac has been matured with the utmost expertise in oak casks. Blended by the Maitre de Chai, this Pyramide Extra Old certainly delivers. It arrives in a stunning pyramid shaped decanter; uniquely shaped, it is a beauty to add to your drinks cabinet. The geometric delicacy of this decanter perfectly matches its status as a Fine Champagne Cognac - utterly refined. Descending from the Domaine des Forges, the Pyramide XO Cognac is a result of over 500 years of Cognac making heritage; passed down from generation to generation. Established in 1850, the Vallein Tercinier family have occupied an enviable position on the estate in Chermignac. The family have embraced the onset of modernity; adapting centuries-old methodology and bringing it to the future. An Extra Old Cognac of this quality is best enjoyed on ice or neat. If you’re having it over ice, make sure to use a large tumbler glass with two ice cubes.